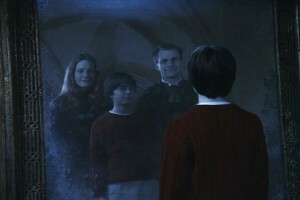 The Mirror of Erised is an artifact from from Harry Potter and the Philosopher’s Stone, though similar mirrors can be found in stories throughout history. 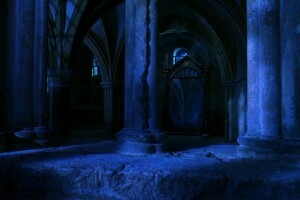 Dumbledore explains its function by saying “The happiest man on earth would look into the mirror and see only himself, exactly how he is,” meaning that it shows us that which we desire most. In the series, the mirror is a trap of sorts, it ensares people, and they have wasted their lives lost in the visions it shows them.Why is this a word of power? 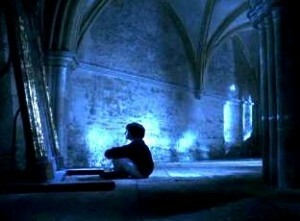 Because every time I think of it, it reminds me that no matter how much I wish that something was true, it may not be. Let me explain. I’ve talked about the truth and beliefs in other posts (here and here), but I’ll sum up by saying that what we should take to be true is that which for which we have the best reasons to believe, provided those reasons are consistent with our other justifications. It’s a bit of a mouthful, I know. But we need to look for external ways to verify things, rather than just believing them because we want them to be true. The technical term for allowing our wishes to interfere with our search for evidence and good reasons is confirmation bias, and it happens a lot. Everybody does it, because there are some things we want to believe. Maybe we want to believe that the girl who sits behind us in class is making eyes at us, or that we’re not the black sheep of the family, and because we want it to be so, we look for evidence for our claim, and ignore evidence against it. More pernicious cases of this actually involve us modifying how we see and evaluate evidence, which anthropologist Tanya Luhrmann calls “Interpretive drift” in Persuasions of the Witch’s Craft: Ritual Magic in Contemporary England (Harvard University Press, 1989). But if everybody does it, why is it such a bad thing? Why is the mirror a trap, and not a blessing? I think the best answer is that when we believe in the truth of a thing because we want to, and not for any other reason, we’re essentially rejecting reality and substituting our own. Not only does this result in believing something which probably isn’t true, which is unfortunate, but often times these beliefs are harmful to us. We can literally waste away staring into the mirror, as so many people have done with homeopathy, faith healing, and the search for other panaceas and miracle cures. Most importantly though, it kills our curiosity. We stop looking for evidence either for or against it, and stop asking questions about it. It’s just true because we stamp our feet and say “It has to be true! I want it!” And when we’re four or five years old, that’s fine. We don’t have a lot of tools for understanding the world, we don’t really understand that our parents don’t have godlike powers over everything, because they’re certainly the most powerful people in our lives. But for an adult? I find it almost inexcusable. But still, sometimes I catch myself doing it, and I remember the Mirror of Erised. It makes me ask questions, and forces me to look away from the world I imagine for myself, and try harder to see the real thing.